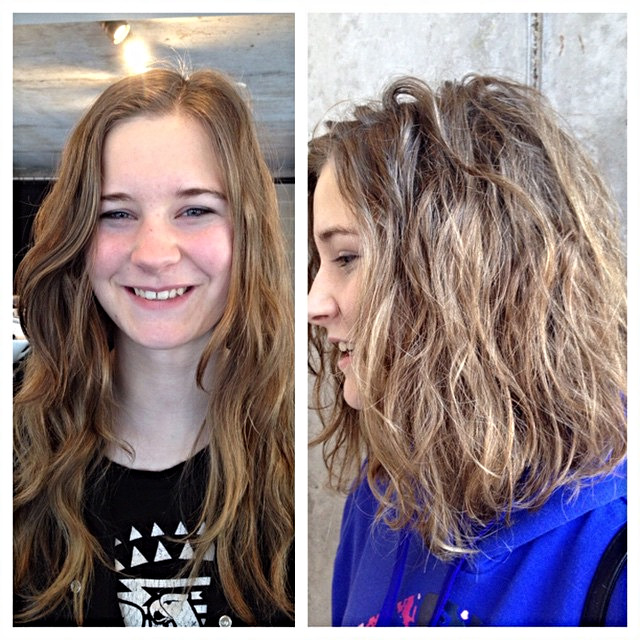 Love the lob… Mandy repost: This young teen was ready for a change. She has thick curly hair and was tired of all the weight. With that being said, we decided on a lob. To style it, I used ‪#‎oribe‬ ‪#‎curlmousse‬ ‪#‎oleocurl‬ and ‪#‎apresbeach‬ to finish. For a lived in, textured look I just used my hand and the dryer to scrunch.